Fort Walton Beach Florida is located in Okaloosa County and is a popular year-round fishing and beach resort destination. 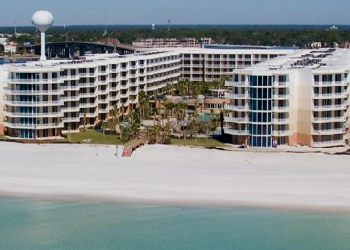 Its busiest time of the year is the summer, with spring break being another busy time when visitors flock to the Emerald Coast beaches - the great outdoors is a part of any vacation to Fort Walton Beach. There are 2 public golf-courses in Fort Walton Beach, and championship courses such as the one at Regatta Bay are convenient. Sea anglers have the opportunity for some fine shore or deep-sea fishing, hunting down the big game fish off the Florida Gulf Coast....kayaking, sailing water-sports are popular activities.